Five Reasons to Hire an Attorney for Any Real Estate Transaction - Crooks, Low & Connell, S.C.
Buying or selling a piece of property in Wisconsin can be a rewarding experience. Whether you are buying your first house, selling so that you can retire to your dream home, or investing in a commercial property, preparing to move in or out can be a very exciting time. Of course, the process can be stressful as well. Are you making a smart investment? Are you sure the buyer (or seller) won’t back out? Are you protected if something goes wrong? One way to help alleviate these concerns is to have an experienced real estate attorney represent you during your transaction. Why Hire a Real Estate Attorney in Wisconsin? Reason #1: Your attorney will provide unbiased advice. When you hire an attorney to represent you, you can rest assured that you are receiving unbiased advice. Your attorney does not have a financial interest in the transaction. His or her job is to help you make an informed decision – whether that decision is to buy the property or not. Reason #2: Real estate transactions are complicated. From concessions to contingencies, and from buy-leasebacks to short sales, real estate transactions are complicated. 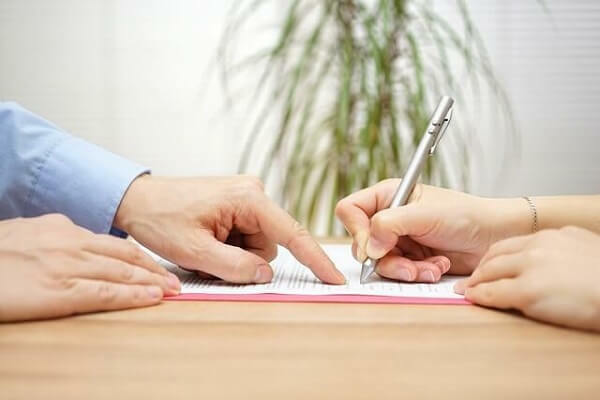 An experienced real estate lawyer will be able to help you understand all of the terms in your contracts and advise you about potential risks of which you may be unaware. Reason #3: There may be legal issues with the property. In addition to the terms of purchase, issues such as liens, easements, zoning restrictions, and title defects can all greatly impact the viability of a real estate investment. Your attorney should be able to advise you of any issues, your options for addressing them, and whether they may warrant consideration of other properties. Reason #4: It may be possible to save a faltering deal. When real estate negotiations break down, there will often be a window of opportunity to save the deal before the parties go their separate ways (or end up in litigation). An attorney who has significant experience in real estate transactions will be able to help you consider alternatives to walking away and, if you desire, pursue a strategy for getting your deal back on track. Reason #5: Your attorney can take legal action if necessary. While most real estate sales close without any major disputes, there are enough moving parts in any residential or commercial transaction that the parties could potentially find themselves in court. If your deal starts going sideways and you have an attorney involved in the process, your attorney will be able to quickly assess your options and provide guidance on whether it makes sense to take legal action to enforce your rights. Are You Buying or Selling a Property in Wausau, WI? Crooks, Low & Connell, S.C. is a team of experienced attorneys who represent clients in real estate transactions and disputes. If you are buying or selling a residential or commercial property in Wausau, WI and would like to speak with an attorney, feel free to call us at (715) 842-2291 or request a consultation online today.